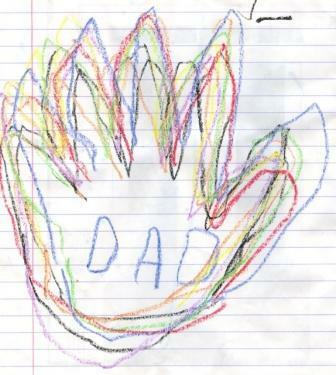 One of Sean-Daniel’s earliest documented works. Circa May 2005. At first his oeuvre was monochromatic. 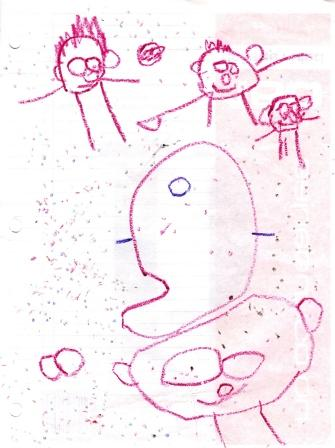 This drawing is of Daddy, Mommy, Melodie at the top. Sean-Daniel is on the bottom, and a fish is in the middle. 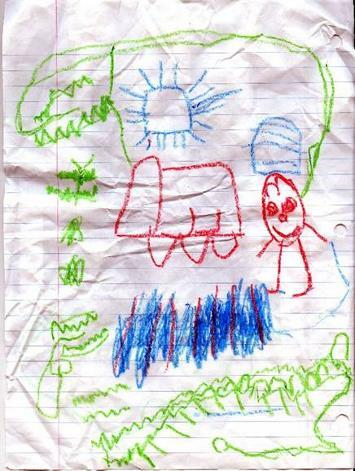 This masterpiece (drawn September 2005) illustrates a frightening story. A fireman, with a blue hat, stands beside his fire truck and contemplates the fire in front of him as he applies water to it. Three dragons circle around the fireman and the fire they created. The largest dragon stands behind a blue sun. A green butterfly flutters in front of the fire truck. 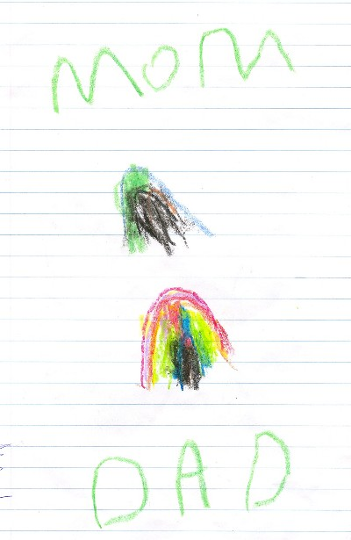 A fine example of what Sean-Daniel calls “Rainbow drawing”. These were done on Thanksgiving 2005. He used his own hand. 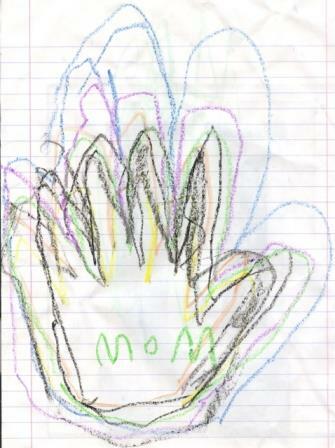 Shortly after Thanksgiving he created this stunning rainbow drawing. This kind of drawing can only be created with the latest in fluorescent crayons. 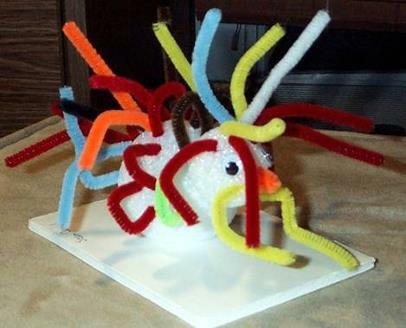 Here we have a pipe cleaner turkey that Sean-Daniel made at Sunday School for Thanksgiving. Just looking at it gives me goose bumps.